When the Vango Zenith 200 tent arrived, I was very excited; if I go car camping, I take my ancient dome tent which is great in the summer, but just doesn't stand up to winter camping. If hiking, I don't like to carry the extra weight of a tent and prefer to take a bivvi bag and a tarp, which is not always ideal with our changeable British weather conditions! At only 2.12kg for a 2 man tent, I thought the Zenith was just light enough to not weigh my backpack down and would certainly be more comfortable than a bivvi bag for year round camping. The Zenith 200 is a hybrid tunnel tent, consisting of three Vango PowerLite 7001-T6 alloy poles; one longer pole to create the hooped structure and two smaller poles which create an upright volume at each end of the tent to provide more height than a standard tunnel tent. Initially, on seeing the height of the tent compared to a dome tent, I was a little concerned about a feeling of claustrophobia, but having the additional volume at each end works perfectly to create extra head room when lying top to toe, as the tent is designed for. One of my favourite features of the Zenith 200 is the dual door system. A pet hate when camping is having to crawl over my companion to get outside when nature calls in the middle of the night. Having a door on each side of the tent gives more flexibility, and provides an illusion of privacy. My 6'2” husband was pleasantly surprised by the space in this trekking tent. He's used to having to sleep with his feet out of the door in our old dome tent so he was initially a little perturbed that the doors were on the side of the Zenith 200, and imagined waking in the morning with a curved back! We were both very impressed that he fitted perfectly, and not only could he stretch out in the tent, he could also sit up comfortably in the centre. With the dual door system, there is plenty of outer space for boots and rucksacks. I always take dry bags with me when backpacking so I can leave as much kit outside my bivvi bag as possible without fear of it getting rained on; this arrangement works nicely for the Zenith 200 too, leaving you more wiggle room inside. My Sherpa rucksack (70L) fitted in the vestibule with no problems. An additional feature is a walking pole attachment eyelet in the door, which can create further sheltered outdoor space, ideal for cooking under. For a backpacking tent, this amount of space is surprising but perfect when on multiday hikes. Another of my favourite features of the Zenith 200 is the ability to put up the inner and the flysheet together, or erect the flysheet first and then attach the inner afterwards. I've spent far too much time putting tents up in the rain and ending with a soaked inner. The inner attaches with a number of plastic barrel and eyes, as well as some plastic carabina style hooks. Even when putting the tent up for the first time in the dark, I managed to attach the inner with no problems. Another standout feature of the tent is the Tension Band System which has been patented by Vango; it's a series of bands throughout the tent which should be tightened according to the weather. In high winds, the bands create three-way tension on the pole which avoids sideways movement. 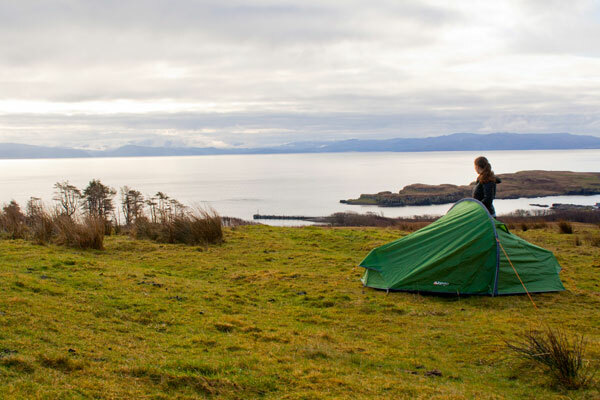 Again, I was really impressed by this feature; I love camping in the winter but have spent a lot of nights being hit in the face by a tent caving in under the wind pressure! I loved the pack the Zenith 200 arrived in; it's got some very handy straps so if you're in a rush when taking your tent down, you can bundle it up, stuff it in the bag and then just do the straps up really tight so it still fits in your rucksack! I'll admit, I'm guilty of this far more frequently that is acceptable. As mentioned earlier, the tent is only 2.12kg and so is perfect for backpacking. The poles and pegs come in their own bags so it would be easy to split the packing of the tent between rucksacks to share the weight, but even if carrying on your own, it's a very manageable weight. 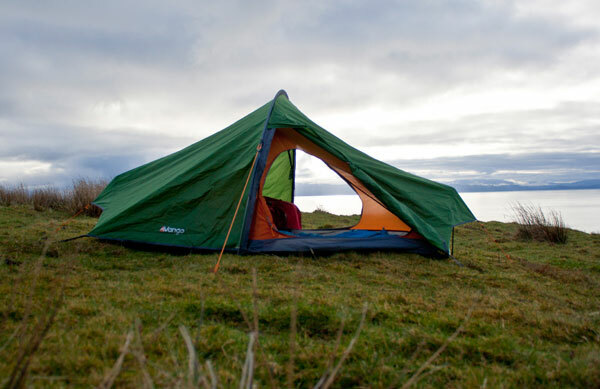 In conclusion, the Zenith 200 is a fantastic lightweight tent for backpacking trips or Duke of Edinburgh expeditions and is designed perfectly to cope with whatever the weather throws at you.